David Sedaris's Calypso is a memoir about the humorist's recent life. It revolves around his home in England, his family beach house in North Carolina, and the death of his estranged sister Tiffany. The last time he ever saw his sister Tiffany, he actually refused to see her. She was backstage before a show and he shut her out. Sometime thereafter, she killed herself. 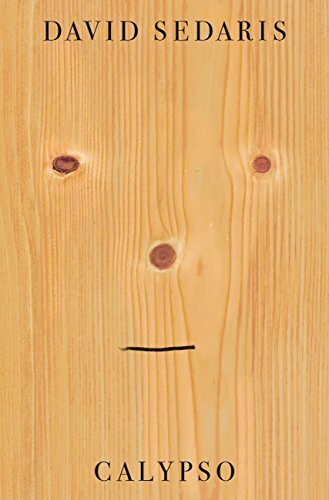 What is, perhaps, most shocking to the reader is Sedaris's apparent lack of remorse. Like so many family members who struggle to support loved ones with mental illness and addiction, he was exhausted. And yet, there does seem to be a resolve to spend more time with his family in the wake of her death. He buys a beach house and the family resumes the sort of beach vacations they grew up sharing together. Family is hard. In this case, we learn of Sedaris's tough relationship with his sister, but we also learn of relational dynamics between Sedaris and his aging father, a Trump voter. As insane as the Sedaris family is, we sense that David Sedaris deeply loves his family and wouldn't trade them for the world. His partner Hugh's family is ... okay, but their not nearly as interesting insofar as they are presented here. And that speaks volumes. Woven throughout this main narrative of family there are other smaller vignettes about life in England and life on the road, all told with Sedaris's penchant for biting wit and general social unease.